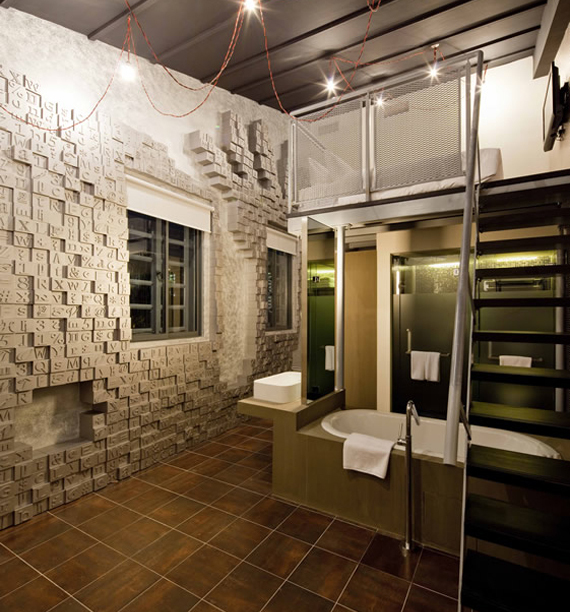 Named for the guests it houses, Wanderlust Hotel ensures luxury and is sure to make each guest's trip an enjoyable one located 15.9 km from Changi International Airport in Little India, Singapore. This boutique hotel boasts 29 individually designed guestrooms. Guestroom design choices include rooms with an energetic colour palette, pop art inspired rooms, and whimsically designed rooms with a variety of themes including trees, typewriters, and space. Facilities provided by the Wanderlust Hotel include a restaurant, and a bar. A hot tub is also available for hotel guests. Nearby attractions to this hotel include the Sim Lim Tower, Sim Lim Square, Raffles Hospital, and Bugis Street. One of the newest additions to the city, The Ardennes Hotel is conveniently located along Bugis and Arab Street and 15.4 km from Changi International Airport. The hotel features 15 stunning designer rooms within a short walk to Lavendar and Bugis MRT with free wireless internet access, a desk, and an ensuite. 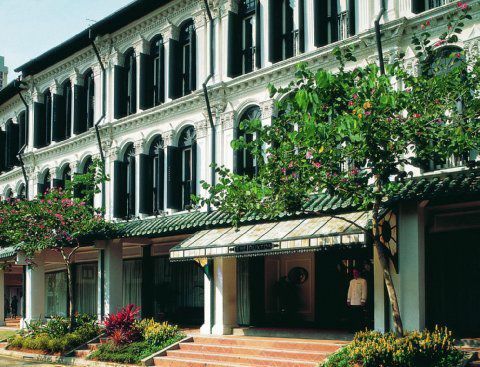 Indulge in the variety of fares at CHIJMES, the hotel's restaurant, which serves Spanish, Japanese, Chinese, and Italian cuisines within a historic building with over 130 years of history. Guests will appreciate the outdoor pool in the Ardennes Hotel and the popular attractions near the hotel including the Sultan Mosque, Arab Street, Zam Zam, and Raffles Hospital. 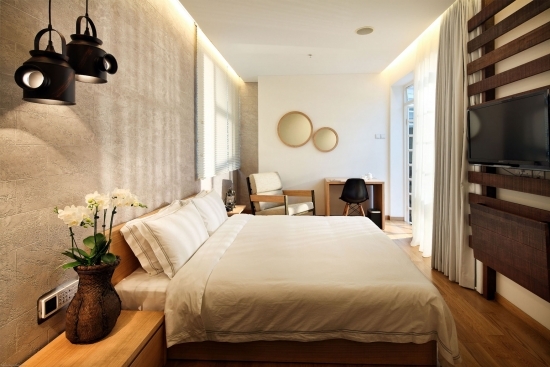 The Ardennes Hotel in Singapore! 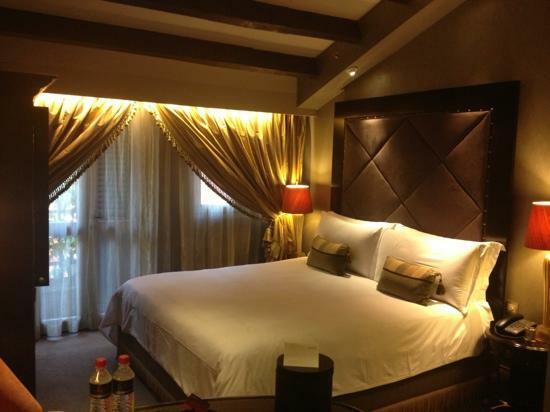 The Duxton hotel is a great choice for accommodation when visiting Singapore. Set 3.5 km from the excitement of the city and 18.4 km from the Changi International Airport, this 4-star boutiqute hotel commands an excellent location moments away from an eclectic mix of high quality bars and restaurants located close to Duxton Hill, Club Street, Ann Siang Hill, Keong Siak Road, and China Town. The hotel has 49 bedrooms, all tastefully furnished. The top attractions in this area of Singapore include the Maxwell Road Food Centre, Maxwell Road Hawker Centre, Buddha Tooth Relic Temple and Museum, and Singapore City Gallery. 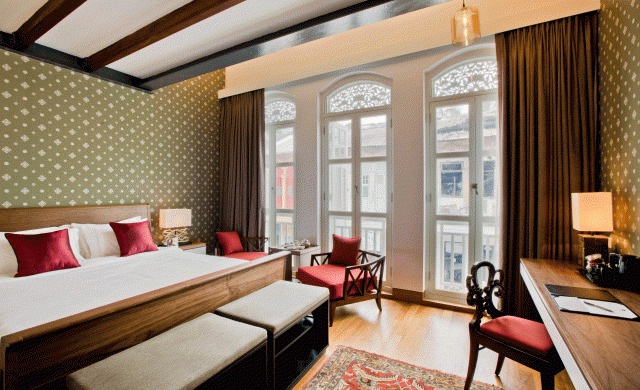 The Duxton is an ideal place for travelers seeking charm, comfort, and convenience in Singapore. 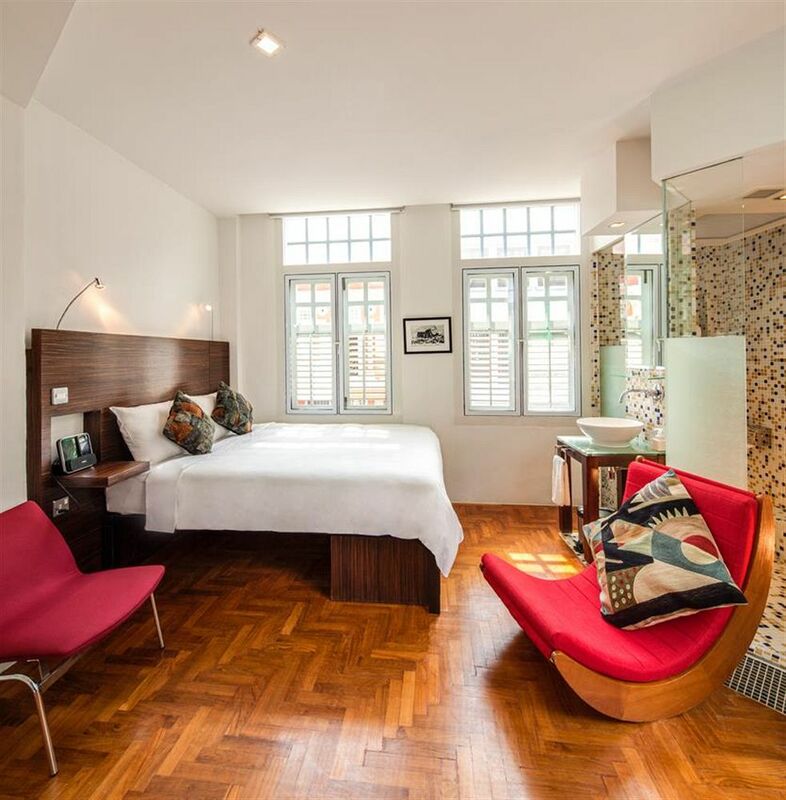 The Duxton Hotel in Singapore! With a whimsical mix of old-world architecture and retro-chic interior design, Hotel 1929 is a boutique hotel that's sure to please every guest. Located on the historical Keong Saik Street in the business district of Chinatown, 18.4 km from Changi International Airport. While no two rooms of the 32 accommodations available at hotel 1929 are configured the same way, each room features a different vintage. 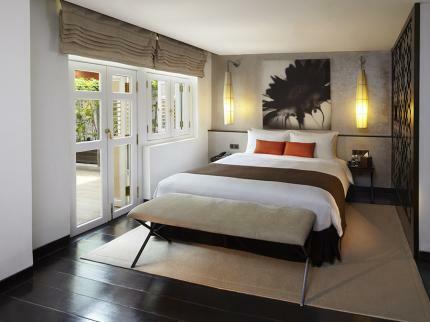 There are also 2 specially designed suites with outdoor baths set in tropical roof gardens that overlook the bright lights and bustling streets of charming Chinatown. Popular attractions in this area of Singapore include the Chinatown Complex, Maxwell Road Food Centre, Chinatown, and the Buddha tooth Relic Temple and Museum. Situated in Chinatown in Singapore, 18 km from Changi International Airport, The Club is the perfect place to experience Singapore and its surroundings. The brilliant and stylish black and white decor of the hotel's lobby and restaurant are mirrored in every one of the 22 guestrooms. To ensure guests' every need is met, The Club provides a restaurant, coffee shop, bar, nightclub, room service, a business center, airport transfer, and laundry service to all guests. Some of the popular attractions in this area of Singapore include the Singapore City Gallery, Maxwell Road Hawker Centre, Eu Yan Sang Medical Hall, Maxwell Road Food Centre, Ura Gallery, and Club Street. A receiver of a number of awards, doubtless the best boutique in Singapore, this bold, daring, and distinctive hotel is the personification of a beautiful and gracious hostess that will provide you with an excellent 4-star experience 18.1 km from Changi International Airport. To ensure guests' every need is met, The Scarlet provides 24-hour front desk service, a restaurant, bar, concierge, tours, room service, luggage storage, currency exchange, and laundry service. A fitness center and hot tub are also available for guests' use. Nearby attractions to The Scarlet Singapore Hotel include the Singapore City Gallery, Maxwell Road Food Centre, Maxwell Road Food Centre, Ura Gallery, and Club Street. Well-positioned in the Bugis area of Singapore, 15.3 km from Changi International Airport, The Sultan is the ideal departure point for your excursions in Singapore. All 64 guestrooms are equipped with free wireless and LAN internet access, LCD/plasma TV, satellite/cable TV, a coffee/tea maker, and bathrobes. The Sultan provides a variety of amenities to satisfy guests' needs. The Sultan Mosque, Arab Street, Zam Zam, and Raffles Hospital are just some of the popular attractions close to The Sultan. When you are looking for comfortable and convenient accommodations in Singapore, make The Sultan your home away from home. Well-positioned in Chinatown, Singapore just 3 km from the excitement of the city and 18.4 km from Changi International Airport, Naumi Liora Hotel is the ideal point of departure for your excursions in Singapore. This 4-star hotel features 79 beautifully appointed guestrooms. A restaurant, concierge, bar, accommodations for physically challenged guests, a family room, a fitness center, and laundry service are available to ensure every guest enjoys their stay. The Chinatown Complex, Singapore Cricket Club, Maxwell Road Food Centre, the Lukisan Art Gallery, and the Buddha Tooth Relic Temple and Museum are popular nearby attractions to the Naumi Liora Hotel. Naumi Liora Hotel in Singapore! Located in the lovely area of Bugis, 16 km from Changi International Airport, The Daulet Hotel guests can easily access all that the lively city has to offer. Step into one of 16 inviting rooms and escape the stresses of the day with a DVD/CD player, TV, free wireless and LAN internet access, coffee/tea maker, shower, and laptop safe. A range of amenities are offered by The Daulet to enhance their. An outdoor pool, indoor pool, massage, a peaceful garden, and non-motorized water sports are the recreational facilities available for visitor use. Sim Lim Square, Kwan Im Thong Hood Cho Temple, Bugis Street Market, and Sim Lim Tower are popular attractions in close proximity to The Daulet Hotel. The Daulat Hotel in Singapore! 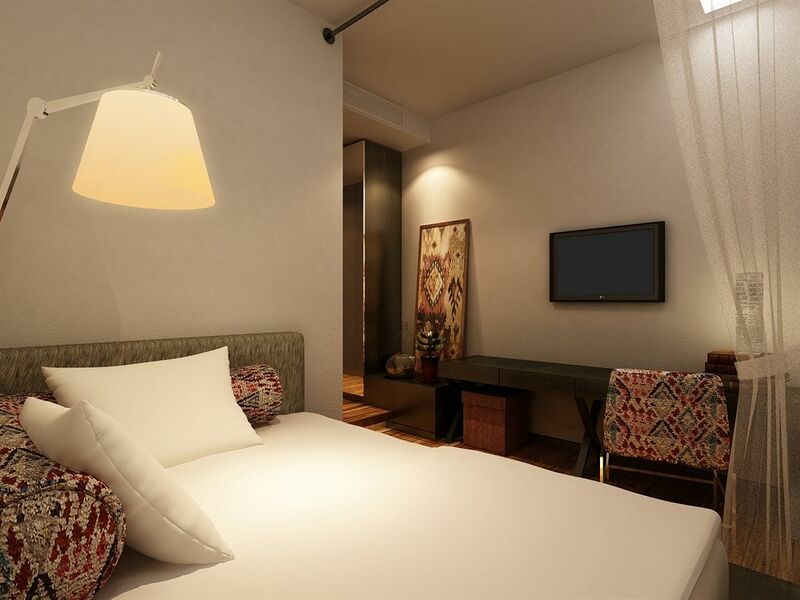 Designed for both business and leisure travel, Hotel Clover is located in one of Singapore's most popular locales, the Bugis area, steps from the city center and 15 km from the Changi International Airport. Step into one of 27 inviting rooms and escape the stresses of the day with a shower, free wireless and LAN internet access, a hair dryer, and non-smoking rooms available. The Hotel Clover provides a restaurant, accommodations for physically challenged guests, tours, an elevator, relaxing garden, and laundry service to ensure every guest's needs are met. The city's main attractions, the Malay Heritage Centre, Sultan Mosque, and Malabar Muslim Jama-Ath Mosque within close reach, visitors will just love the Hotel Clover's location. 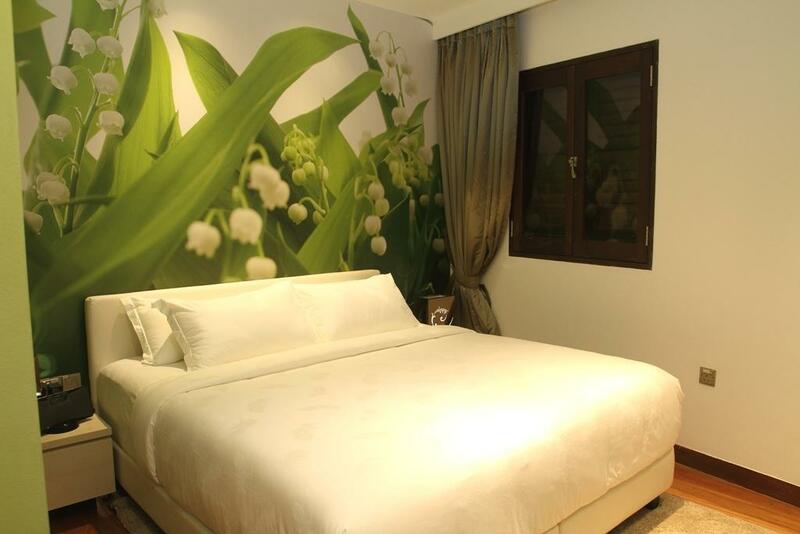 Hotel Clover 769 North Bridge Road in Singapore!